Happy Spring everyone! With the weather in full spring mode we hope you’re been out enjoying life on 2 (or 3) wheels! In May Cycle Toronto celebrated their 10 year anniversary at a great night at CSI Spadina. And a last week the bollards finally came back to the Viaduct (about 7 weeks later than expected), but finally here, and we’re told they are permanent (safety isn’t seasonal!). Dundas Street East at 10 Edgewood Drive Toronto, ON M4L 3G8. 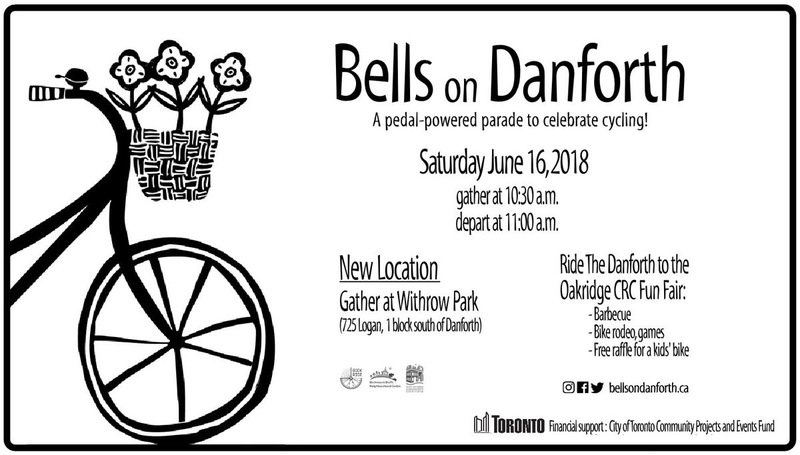 7:40am – We will pause at Dundas & Jones to refresh the flowers and observe a minute of silence in memory of the cyclist killed there on May 16th. Ah Bike Month, 30 days when the city goes nuts with Bike Events! Every Tuesday and Thursday there are Cycle Toronto organized Commuter Stations. Stop by to get a free Bike Month 2018 branded tote bag full of giveaways from Cycle Toronto’s partners. Our local farmers market is back for another year, opening day is June 2nd. You can find us there with our friends from Ward 29 Spokes (ourbike loving neighbours just north of the Danforth). 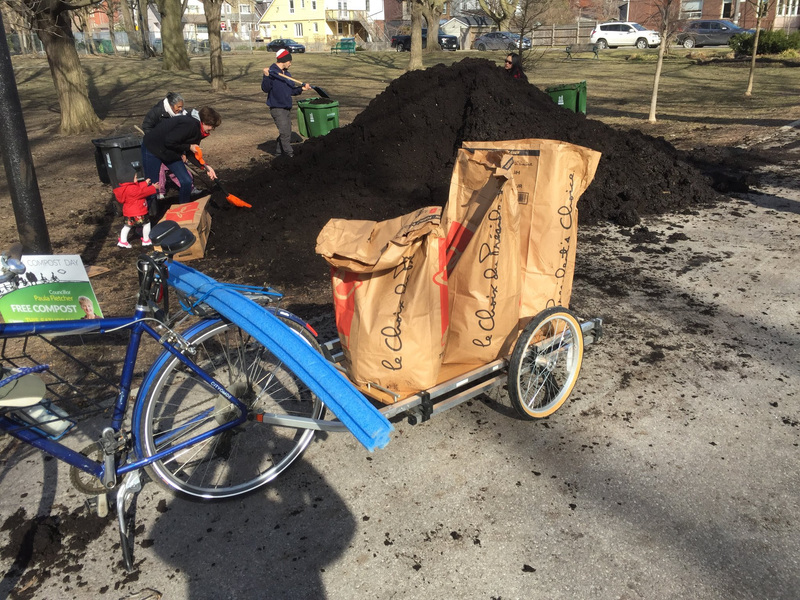 And since this is also one of Ward30’s Free Compost Days, we’ll also be doing some FREE compost delivery by bike. It’s been a heartbreaking times for our city. Toronto’s “Vision Zero” road safety plan has been around for 2 years now, and we’re trending with more deaths then before. 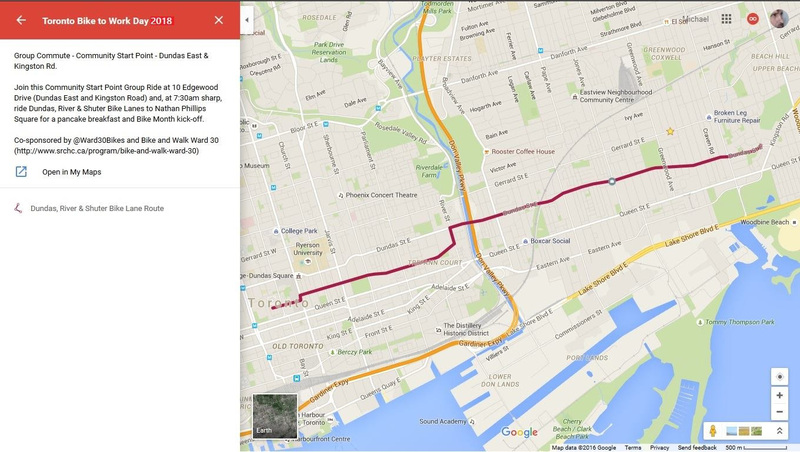 On May 16th a person riding his bikealong Dundas St East was killed. As at that time, he was the 17th pedestrian or cyclist killed in 2018. Since then, a child riding his bicycle on the sidewalk of Avenue road was struck by a person driving an SUV, and a 20 year old man riding his bike in Stoufville was killed in a hit and run. Our local councillor has called for improvements to Dundas bike lanes in the wake of the death, including a request to the city for the first ‘dutch style intersection” in Toronto. The following week at council, our councillor managed to get a significant vote to simplify the process for installing traffic calming in neighbourhoods. But the implementation Toronto’s version of Vision Zero is incredibly slow. 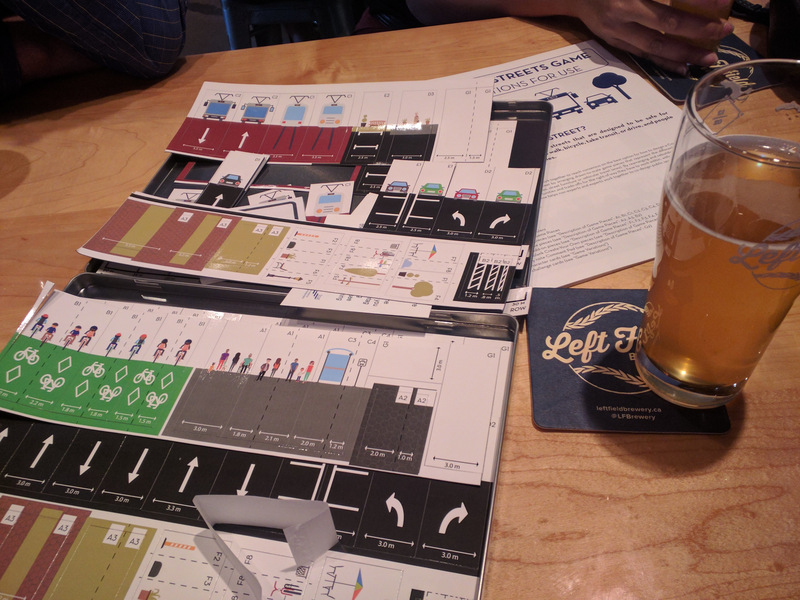 Within our community, we cycling advocates are frustrated, sad, angry and every emotion that goes with the tragedies of road violence. Ghost Rides are far too frequent, and the implementation of the city’s road safety plan is poorly funded and infuriatingly slow. This is an election year. Please make your voice heard. Please, tell your local candidates that road safety matters to you. Ask them what they will do to make our streets safer. Demand it from our mayoral candidates, and demand that our mayor appoint members to the Public Works and Infrastructure Committee that actually champion road safety over minutes saved in car commutes. Candidates are posted on the city’s website here: https://myvote.toronto.ca/candidateslist (Keep in mind, we are now becoming Ward 36). Next Post Ride in the 2018 East York Canada Day Parade!